The Land Of The Enlightened is an ominous yet refreshing directorial debut from Belgian filmmaker Pieter-Jan De Pue. The project takes the form of a drama-documentary, filmed over the course of 7 years when the filmmaker was embedded in Afghanistan. 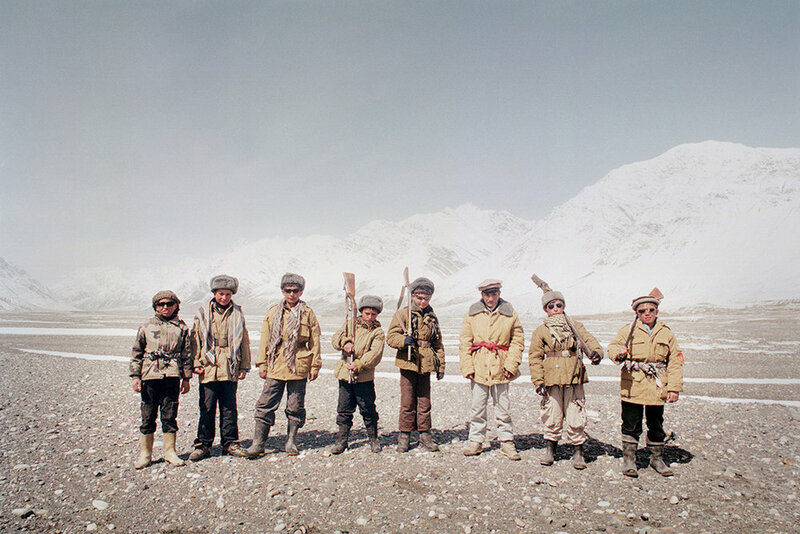 The film focuses on the withdrawal of western coalition troops, while at the same time following the narrative of two groups of children, one being from the Kuchi tribe and another group located in the Pamir region. The film gives an eye-opening and macabre insight into the effects of both the 2001 invasion of Afghanistan by the Western coalition, as well as the Soviet-Afghan war in the latter half of the 20th century on the Afghan populace. De Pue's hybrid form marries fictional narrative with non-fictional subject matter, combining the two in an approach reminiscent of combat journalism. Not only are we able to see the effects these wars have had upon the people of Afghanistan but we are also shown by De Pue just how futile and in vain the 2001 invasion was. This is shown particularly well in a scene where an American officer is speaking to some Afghan village elders about their role in helping him not only protect the security of the region, but to also aid in the fight against the Taliban. Upon asking them for their support he gets no response. This scene showed that not only are the coalition fighting a futile conventional war against the Taliban insurgency, but they are also still fighting a war for the hearts and minds of the people more than 10 years into the invasion, a conflict in which they have evidently failed to succeed. The story of the American garrison on the hills is paralleled rather effectively with the narratives of two groups of children who both play a core role in the documentary. In these sections, a group from the Kuchi tribe forage for old Soviet munitions such as anti-personnel mines and artillery shells, and sell them to another group of children who work in the 7000 year old Lapis Lazuli mines and use these munitions to quarry for the rare mineral. The exploits of the Kuchi children show the decades old remnants of the effects of the Soviet invasion of their country, as we see the children playing within a field of abandoned Soviet armoured vehicles and tanks while at the same time digging for anti personnel mines left behind by the Soviet army. These scenes effectively display just how desensitised generations of Afghans have become to the decades of invasion and warfare by external forces, which have reduced some of them to foraging for lethal munitions just to make a living. The film also features another gang of children based in the desolate and arid region of Pamir, who control and raid the caravan routes to Tajikistan by which the rare Lapis Lazuli minerals are exported. These sections poignantly display this nomadic group as a product of a war-torn and hostile land. As the film follows the group, their motives brought to life through their own introspective dialogue, as they dream of becoming Khans in their own right, living in a palace Kabul, and to taking a girl's hand in marriage. Throughout their journey, audio snippets from their radios fill us in on the backdrop of a transitional period of the war in Afghanistan, and the withdrawal of western coalition troops adds to our understanding of the motives of the children. The Land of the Enlightened is an incredible debut from De Pue as it not only gives a crucial and valuable insight into post-invasion Afghanistan, but it also does so in a beautifully structured format of a tripartite narrative in a hybrid documentary/fiction form. Accompanying all of these great aspects of the film is the beautiful cinematography of De Pue, who captures all in an extremely aesthetically pleasing 16mm celluloid.